- no 'symbolic' adoptions here. We are the ONLY genuine penguin adoption offering you your very own penguin. - Are you adopting your own penguin? - Can you choose the name of YOUR penguin? - Can you come and visit YOUR penguin? 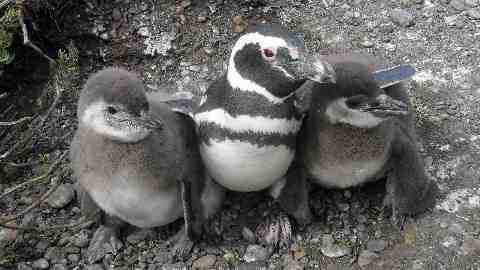 - Does your money help save wild penguins? With us the answer is YES to all the above. No other penguin adoption that does that. We are the only GENUINE penguin adoption programme that lets you receive photos and follow the progress of your very own wild penguin throughout the year. Other adoption programmes are just donations sending out pretty pictures of the same penguin to everyone. If you can't choose the name of your penguin, and follow its progress throughout the year, then you are just making a donation. 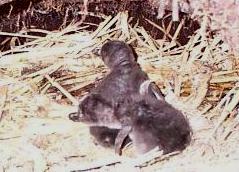 Our penguin adoption programme has featured in TV documentaries around the world. You can view TV documentaries featuring our work on YouTube, including BBC TV, Animal Planet, Paramount Pictures, German and Spanish TV. Who doesn't love penguins? Who wouldn't want one of their own? Adopt a penguin, tell us what you want to call your penguin, and we will send you regular news and photos of your penguin's progress. You will also receive a digital copy of Mike Bingham's book "The Penguins of South America", and we will even send you a map to show you exactly where your penguin lives, in case you ever want to visit (Visitors are welcome). Your penguin's home (nest) will be given a special marker with the name you have chosen for your penguin, and we will follow the progress of your penguin, and send you news and pictures of your penguin, its home, some of its friends, and its chicks when they hatch. All for just $59. Adopt a Penguin makes a perfect gift for adults or children, or an interesting school project that will help children to learn about penguins in an interesting and entertaining way. The information we send out about each adopted penguin is tailored to the age of the adoptee, so that it will be educational as well as fun. The adoption fee pays for us to monitor our adopted penguins, so that we can learn how they live, and help protect them. You will see from other pages on this web site that our penguin research is internationally acclaimed, and that your money will be put to good use. 1. CREDIT CARD using WorldEmail.com's SECURE ONLINE FORM.